Brand identity and website development and design for high-profile family law firm. When it comes to practicing family law, Becky Beaver's decades of experience have established herself and her team as the best in Texas. However, the firm's branding and website didn't live up to the esteemed reputation they had rightfully earned, so they called on MODintelechy to elevate their brand system and website. 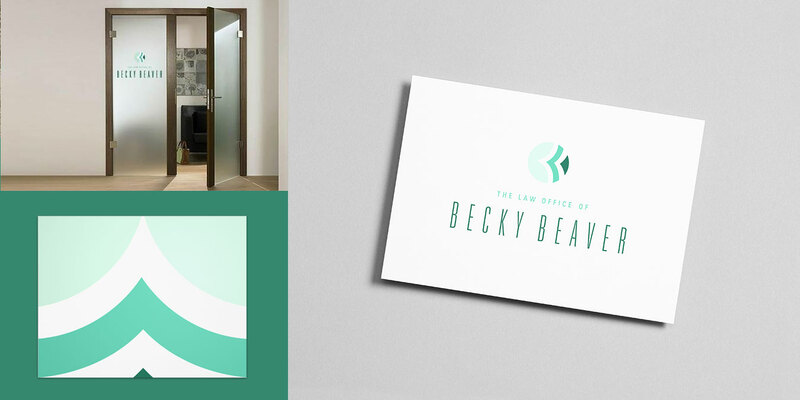 To properly capture the level of sophistication and expertise Ms. Beaver and her team bring to each of their cases, we designed a sleek, modern identity system that we implemented across all aspects of the firm: business cards, stationery, signage, marketing collateral and more. Our use of shape and color in the law office’s new brand gave them a softer, more amiable side – a departure from their original identity – that helped them better relate to their client base. Additionally, we overhauled their website to not only match their new look, but also be more user-friendly and responsive for mobile and tablet users. "Our use of shape and color in the law office’s new brand gave off a softer, more amiable side – a departure from the previous identity." The Law Office of Becky Beaver has always been Texas' go-to firm for family law cases, and the business now has an updated, cohesive look to back up their established reputation. Their contemporary yet timeless branding system has modernized their company image and will carry them through many more years of award-winning work.